Thank you for this story. Did you write it? It is very good. It took me a long time to learn this. I used to preach to the people’s felt needs rather than to their real needs. I give them techniques and programs. I feel good and the people loved it. After all we are evangelicals and like to be program driven. Now I preach the triune God and make sure the people have enough of Him to make it through another week. Alex, this was one of those inspirations I recently had while half awake in bed. I had one about Steve Jobs too, but delayed writing it and now that I wrote it, it looks stale. I have journeyed the same path as you. People loved it when I preached to felt needs. Their response met my need for approval! Like the way you put it: “make sure the people have enough of Him to make it through another week”. You sound like Joseph Prince the guy who only preaches about everything about Christ and almost nothing else. Its so nice and you really want to be with Jesus when you hear this fella preach. Praise be to God for such people who reveal the love of Jesus in a dynamic way according to His Word. Pray, tell me what a third Preacher could be like. Would love to hear of it. 🙂 Interesting, Blogpastor. Can almost picture the actual two preachers in my mind’s eye! But you are, I am sure, not making allusions to any particular preacher! You sound poetic in your allegorical narrative. Thanks Maria, the two Preachers are blogpastor-past and blogpastor-present. By the way, recently I bumped into this genre called “micro-fiction” which really got my engine going. I sure can related with your past and present. Great writing! I also like the “balance” of your blog. Keep it up. You got a new reader in me. Thanks Eragonjr. The Lord bless and prosper your ministry of exalting Christ the Lord. Hi Blogpastor, i loved this tale – and it was like what i’ve experienced too. Would like to share it. Marianne, I almost used she for the second preacher but decided against it as it may distract folks from the main point. May Christ be glorified through your ministry. I experienced what you wrote here. I am part of that congregation. I got excited when I joined a church that preaches about how to become a better Christian, employee, and etc but eventually I got weary. I thought I could not be a good Christian. I felt like a hypocrite. But then I heard a pastor preach about Christ. He exalted Christ and unveil His love. New life sprang out of me. Joseph, I am encouraged to hear that there is a ring of reality to the story even though I had to use caricature and hyperbole to bring the point across. Amen Paster Kenny!!! Preach it more!!! Thirst quenching, cool spring of water from Christ’s finished work!!!! Who is Pastor Kenny. Can enlighten me please? I am sick of hearing the same old list of must-dos every Sunday. I am sick of hearing these fire-and-brimstone types pointing out my sins to me (after all don’t I know that’s why I’m in church duh). I am so tired of hearing pastors trying to give man-centered motivational speeches. I COME TO CHURCH TO HEAR ABOUT CHRIST AND CHRIST ALONE! I HAVE COME BECAUSE I WANT TO HEAR ABOUT JESUS! Yes Ben, we need to first give people Someone to believe in rather than just something to do. Preach HIM over and over again and again bro!! Thats what Pastor prince does. Are you he? Continue to unveil Jesus without fearing men. The Accuser of the brethen will come from all ways including using the most fatihfull church members to intimidate your Grace Gospel. We are protected under Psalm 91. When you see Jesus’ faithfullness, you will be transformed from glory to glory in His image and strengthen your faith even more in the Grace Gospel. Dear Pastor Chee, this is a comment totally unrelated to your post, but i could not find your email address on this page – I am conducting some research into the charismatic renewal for a paper and would like to interview you regarding your involvement, particularly in the early 70s. I was excited, having read the account of the formation of your church on the church website – because what i have now tends to cover the dominant narrative about the renewal and reading about your experience is a breath of fresh air. Could I give you a call to explain my research? Yes you may, Galven. And yest the contact form wasn’t working and I took it off. Unfortunately I do not share the same sentiments of all those who have commented above. While I agree that we should always preach about the love of God and I do also agree that the congregation do get re-energized by being reminded of the fact that “they were forgiven, empowered, loved and watched over and guided by a wonderful Man with scars in His hands, and love in His eyes.”, I do believe there is a time and place for everything. In your story, you seem to imply that the 2nd preacher is doing a better job and seems to allude that the message being preached by him is a more superior message while the 1st preacher has failed. Perhaps you did not mean that, but by virtue of your comparison, that is the conclusion that one can make. And therein lies my issues with such a conclusion. 1) A very big assumption that preacher 1 will definitely lead towards a congregation feeling defeated while preacher 2 will definitely make congregation feel empowered. Granted that perhaps you would have drawn from your personal experience of being a pastor but that would be anecdotal at best, and extremely bias at worst. 2) Unfortunately in the sermons of the 2nd preacher, there was no 2nd part of the Gospel message. The Gospel does not end with simply Jesus loving us and sacrificing for us. Jesus did mention in the Gospel that not all who claimed Jesus to be their Lord are true disciples. 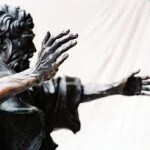 In Luke 6:46, Jesus said “Why do you call me, ‘Lord, Lord,’ and do not do what I say?. Matthew 7:21 also springs to mind almost immediately. Also, note that in Luke 13:22-27, some who “ate and drank” with Jesus, and whom Jesus taught to, failed to enter heaven. Hence this concept does make me wonder, out of so many of those who are “comforted” by the message of love made by the 2nd preacher comes truly from knowing God or is it a simple case of our heart hardening and choosing what we wish to hear? It is definitely easier listening to soothing messages of how God loves and forgives you as compared to knowing that you fall incredibly short and be constantly reminded of how far you have fallen. In John 14, Jesus also mentioned that whoever loves Him will do as He commanded. Again I am wondering a diet of only God’s love and mercy on us without the 2nd part of “How then shall we live” will lead us to living life of truly loving God and hence being a true disciple of Christ. To sum up, I am not discrediting preacher number 2. However, as mentioned earlier, we have a time and place for everything. A preacher or a pastor’s job is akin to a parent’s. Tell the kid what needs to be done, continue to encourage the kid should the kid feels inadequate and once the kid’s morale is back up again, tell the kid what needs to be done again. This cycle should repeat itself until the child has built up healthy habits. I am sure all of us reading this will be able to see how preacher 1 and preacher 2 fit into this cycle. I really dislike it tremendously when people forcefully make comparisons to say which is the more important message or which constitute better Christian teachings/lifestyle etc. At the end of the day, do remember that most of Paul’s teaching do encompasses both sides. Grace of God, and also instructions (sometimes scolding in fact) on how then shall we live. And of course, I could be reading this too much and this story was meant to showcase the goodness of the Grace message without deriding the other. Should that be the case, I sincerely apologize and seek your forgiveness for being too one-eyed in my own bias. Here is wishing you and your family well. Incidentally I’ve smsed you a few weeks ago but did not manage to get any reply from you =( wonder if your phone number has changed. Would love to meet you and Auntie Jenny soon. why not preach both the high ethical standards of Christianity as well as the finished work of Christ? isn’t that exactly what the apostles did? for example, even while exhorting the congregation to spend daily time in prayer, why not remind them that the only way they will be able to succeed is by focussing on Jesus and relying on His grace? why not tell them up front that there will be times when they forget or don’t have the time, but not to lose heart because “there is therefore now no condemnation for those who are in Christ Jesus”? and to just pick themselves up again and continue to persevere in His grace? Hi Mingze and Siehjin, This tale uses caricature and hyperbole to puts its point across in a contrasting and pointed way. I hold the opinion that there has been too much of the first preacher preaching the imperatives. Imperatives, if not arising out of the firm foundation of the indicatives of who Christ is and what he has done (the way St Paul demonstrated in Romans and Ephesians)can have a deadening effect. To address an imbalance that has gone on for more than a decade, the pendulum will have to swing the other way. True obedience and ethical living is empowered by and comes out of faith in Christ’s finished work, and those who believe the indicatives will do the Father’s will. Thanks for taking time to respond. I appreciate sound argument and reasoning. Blessings! What you have written is like a script for a play, which may seem surreal, but in fact the first preacher and the congregation are being constantly performed before our eyes in many churches today. I am glad that there is going to be another part of the play on the ‘another preacher and the congregation’ that is yet to be released in many churches today. Your tale of the two preachers reflect the the two trees in the garden of Eden , the first and second Adam, Hagar and Sarah, Cain and Abel……. Yes Caje, the two trees in the garden would make an interesting analogy of the two types of preaching. First read about the two trees this way in Watchman Nee. Please stop. The pastor’s calling is first and foremost to feed the sheep the good news of Jesus Christ. That’s it. Leave the “job” of parenting to the parents, please. Look, I’ve been church hopping for the last 25 years or so. I recall being frustrated because the priest or pastor would invariably give the same old tired motivational speeches centered on being a better person, inevitably drawing some lame moral lesson based on what he saw/heard/did last week etc. Trust me, pastors are not called to be motivational speakers (leave that kind of stuff to Anthony Robbins). Because I was such an “experienced” church hopper, I would know what the moral lesson was before the pastor could complete two sentences. Consequently I would become extremely bored in 15 mins and either catch some shuteye or go home. It was also plain to see that I’m not the only one who felt like this – if church goers were honest with themselves. By absolute contrast, the experience I had the first time I heard someone preach Jesus Christ for the entire sermon was like gulping down an ice cold bottle of Coca Cola in the middle of a parched desert. In my heart, I felt a huge feeling of relief like it was going “Aaaaaaaahhhhhhhhhhh…. This is what I was searching for all this while”. It was also the first time I sat through a 2 hr service and still wanted more. Pastors, with all due respect, please don’t deviate from your privileged calling that the Lord gave you (although I think most already have). Preach Jesus Christ only and leave the consequences to the Lord. Thanks Ben for your interesting comment. Moralism leads to boredom and a more dangerous consequence: religiosity. I’m very very very glad to know that you feel the same way. Thank you. The very thing that differentiates us from all other “religions” is that we do not focus on self-attainment or morals at all. The focus is on Jesus Christ and His finished work and the inheritance that we already have in Him. (I suppose that’s why we can give Him the glory because it’s all His effort). I’m actually excited now to see how the Lord will prosper your ministry as you preach the truly good news the way it was meant to be preached. Past blogpaator and current Blogpastor —- even the blog pages and format looks different. I hardly recognise ! God Bless Your Ministry and thank you for having the guts to step out and preach the LOVE of GOD and THE JUSTIFICATION BY CHRIST RIGHTEOUSNESS and the faith to leave the “consequences” to GOD. The Lord bless you Wendy. This is a great passage. I’m one who has experienced both too. Under the teaching of the Type 2 preacher, I’m loving Jesus more and more each day and talking about Him with greater confidence and conviction. It’s way better than when I was in the Type 1 preacher’s church when I was told to evangelize and whenever there are meetings, I’m being told how much I’ve failed God cos I’ve not brought in the numbers and have not brought visitors to church. I’m fed with how much I’ve failed God and how short I am, how then do I have the strength to carry on. There’s so much doing that it came a point that I wish I was a Buddhist monk who can just sit on a rock to meditate, do nothing and receive the peace. But praise be to Jesus, now that Jesus is unveiled to me, I’m compelled to speak about Him. God’s beloved, Thanks for your sharing. 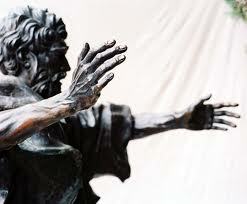 St Paul said, For I resolved to know nothing among you except Jesus Christ and Him crucified” (1 Cor. 1:2) and in Colossians 1:28, he mentioned, “We proclaim Him, admonishing and teaching everyone…” and “For we do not preach ourselves, but Jesus Christ as Lord…”(2 Cor 4:5).